There’s nothing like an Easter egg hunt. 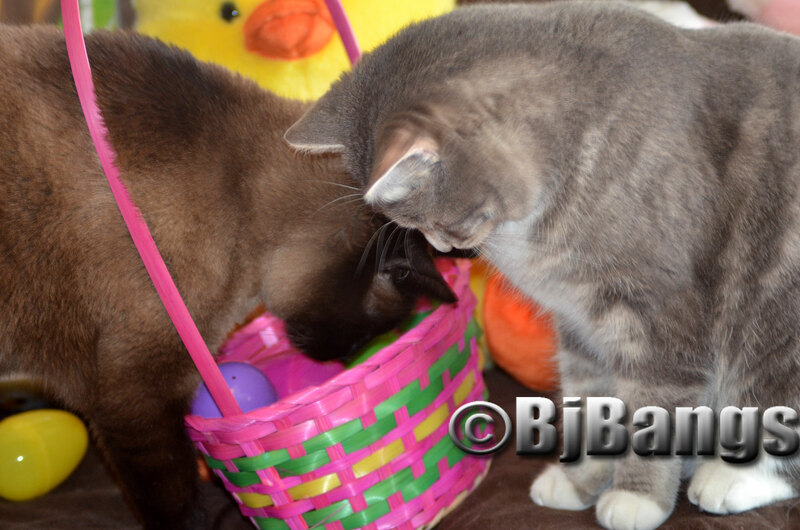 Here, these kitties go on a cat style Easter egg hunt with all kinds of goodies. 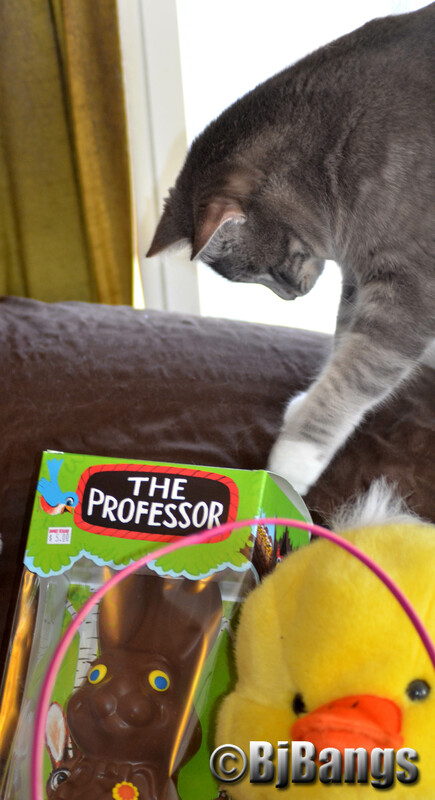 If your cats had their choice of an Easter egg hunt, what would they chose? Please weigh in and join the discussion. Kitty Lenny plays with an Easter egg. Kitty Lenny checks out chocolate Easter rabbit. No egg hunt here. 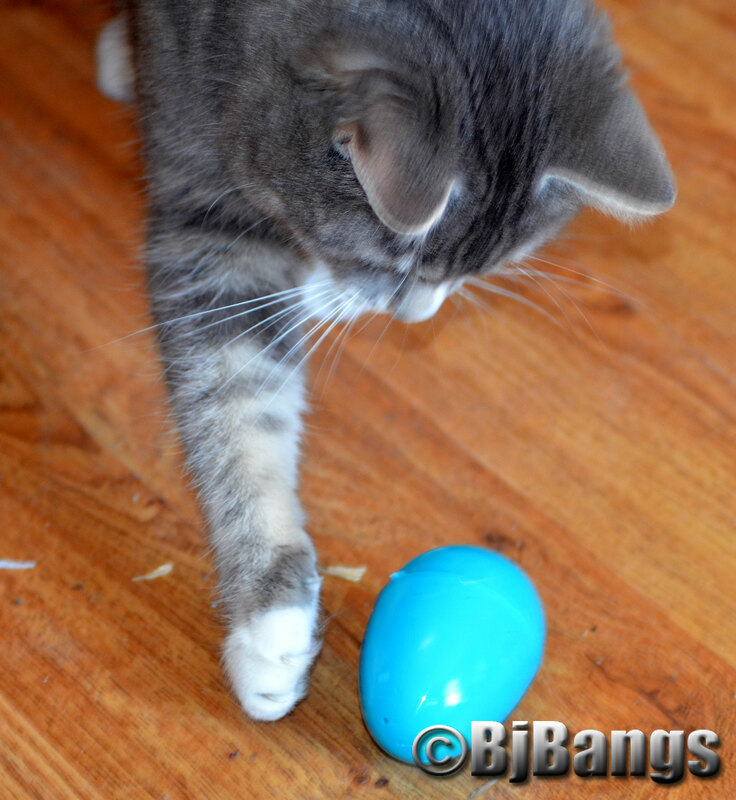 I did fill some plastic eggs with catnip though :)Happy Easter! Happy Easter! Aren’t the kitties so fun to watch? Tee! Hee! Looks like a ton of fun! Anything they can chase is fun for the kitties.